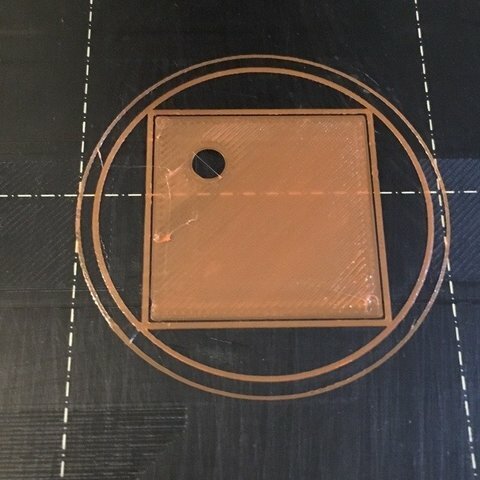 My own design for Z height calibration. It is big enough to check the first layer smoothness yet small enough to save time. The central square should be smooth and even. The hole at the corner should be round and clear. The outer square line should adhere well to the bed, and the gap between it and the central square should be clearly seen. The out most circle should adhere well and round, it just touches the corner of the square. Single and a line of 3 patterns are included. You can add more and arrange in your slicer to suit your own use.